CALLERLAB, the International Association of Square Dance Callers, officially began in 1974, but discussions about the need for such an organization started some 15 years earlier. The organization has a short history of CALLERLAB on its website. See Related Items on this SDHP site for other presentations of that history. The attached document in Bob Osgood's 1972 Report to Members, outlining what took place in the first year of organizing this effort, and outlining the next steps. 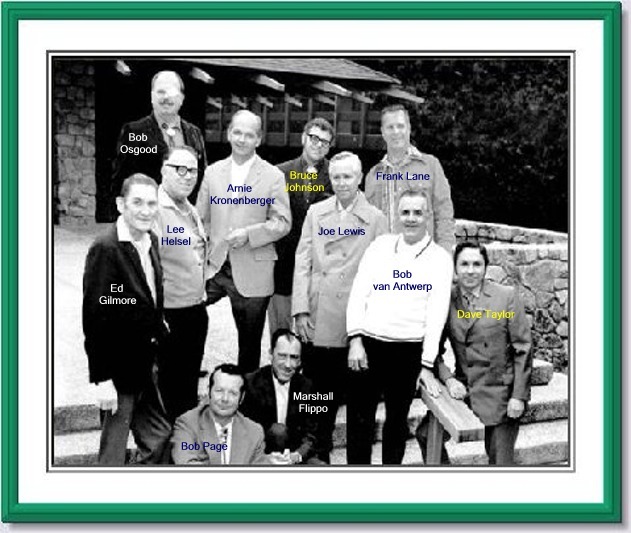 The photograph shows the founding members. Frank Lane was not present when the photograph was taken, but his image was added in later with Photoshop. 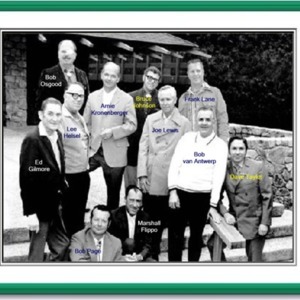 “CALLERLAB founders,” Square Dance History Project, accessed April 26, 2019, http://squaredancehistory.org/items/show/1134.